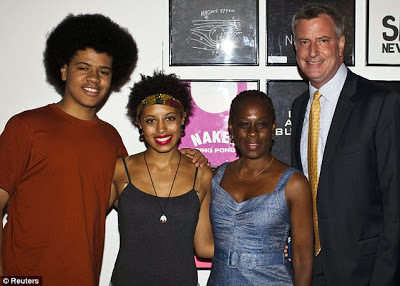 His son, Dante, and his 10 inch: Car Wash Afro caused black voters to drop the only other black candidate,: Bill Thompson, like a bad Dashiki. 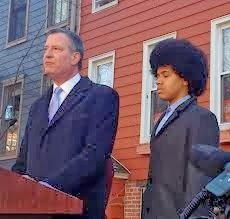 : All of a sudden Billy de Blasio got him some street cred in the ‘hood. It was all good for the soft stepping and Crypt walking hoods, but after the hair grease and the Advocate mags are used up, what else does Billie de B have left? : Not much other than 1960s Leftism and a fondness for high crime in the streets.